Officer Gary Nelson died Aug. 15, 1975 in a helicopter accident while assisting detectives during a surveillance operation of a known narcotics dealer. The crash occurred in a rugged area near Idyllwild. Officer Robert DePartee was an observer in the helicopter and was seriously injured. He recovered and later returned to serve as a helicopter pilot. 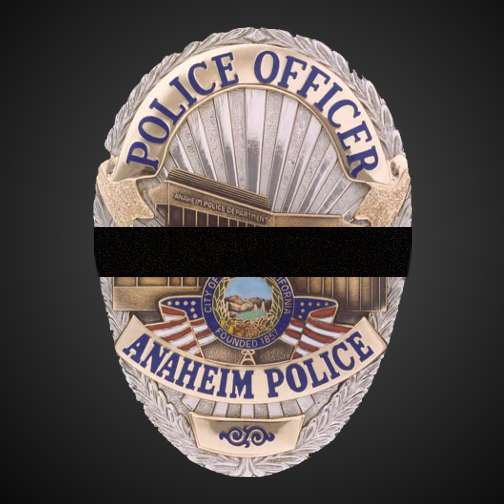 Officer Nelson had been employed with the Anaheim Police Department for 11 years, and was survived by his wife, son and daughter. Officer Robert Roulston was killed in a motorcycle accident when he struck a vehicle which made a left turn in front of him as he approached an intersection. He was working a special assignment at a California Rams football game at the Anaheim Stadium at the time of the incident. No charges were filed against the driver who caused the accident.